I wish I could have included the full text of this chapter. It's a truly evocative scene; Colin's first time outdoors, and a celebration of food, friendship, sunshine and the arrival of spring - all the very best things in life. There's absolutely no doubt that it's a very special cake sharing the picnic blanket with the tea, fresh buttered toast and crumpets. Happily, the writing of an undefined 'cake' into the scene has allowed me to use my imagination. Taking into account the enthusiasm of both children and squirrels, and their position under the pink and white flowers of an apple tree, one of my very favourite cakes seems in order. This light, nutty, moist apple cake is one I have made countless times. It is a breeze to put together, travels well (including in a picnic basket out to the garden) and is perfect with a cup of afternoon tea. And with this lovely spring that appears to have sprung, it's a great one to whip up yourself this weekend. 1. Grease the cake tin and line the base with baking paper. Preheat your oven to 170C. 2. Peel, core and cut the apples into eight wedges (or twelve if your apples are quite large). If you're not a fast peeler, either rub the apple pieces lightly with a cut lemon, or immerse them in chilled water so that they don't discolour - it's exposure to oxygen that turns cut apples brown, so you need to provide a barrier. Melt the butter in the frying pan until it starts sizzling. Stir in the sugar and cinnamon and tip in the apples. Cook over a medium heat for around five minutes, turning only once to allow them to caramelise in places. Remove the pan from the heat and allow the apples to cool. 3. 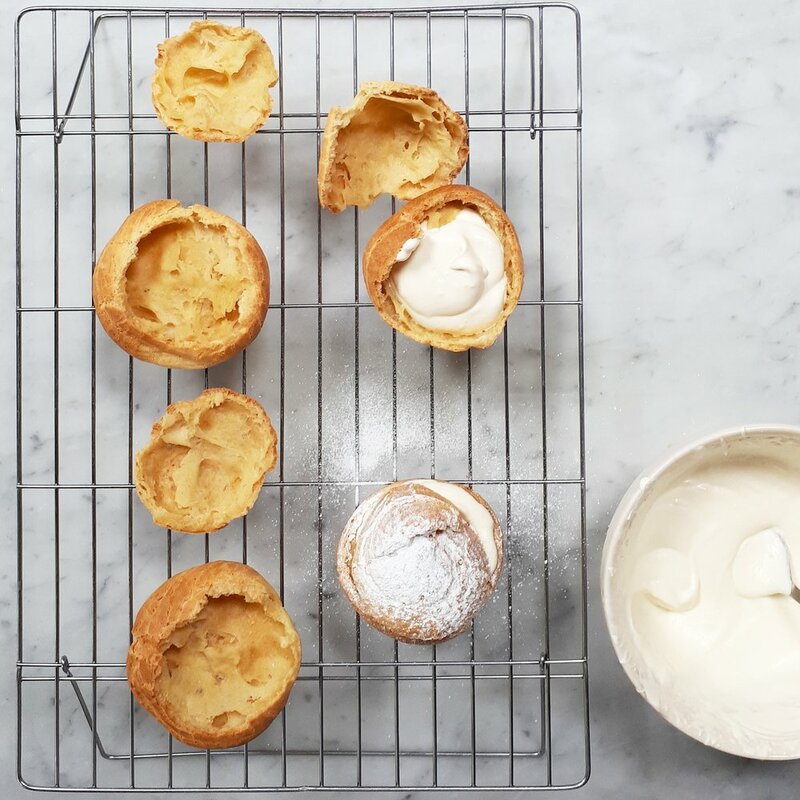 Put the butter and caster sugar in a bowl and beat together (with an electric or hand-held whisk) until the mixture is light and creamy. Beat one of the eggs into the mixture until combined and then follow with the second egg, along with a spoonful of flour to prevent the batter curdling. Sift in the ground almonds, flour and baking powder and fold in gently with the spatula. 4. Scrape the batter into the tin, and push a little of it up the well-greased sides. Tip the apples and buttery liquid over the batter and spread out over the top. Place in the oven and bake for 45mins until the skewer inserted into the centre of the cake comes out clean. 5. Stand on the wire rack for a few minutes and then carefully release the cake from the tin, running the knife around the very edge if the top has stuck slightly. Serve warm with yoghurt or cooled and in generous slices in the garden.